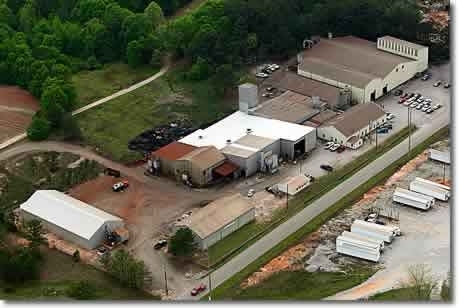 Franklin Iron Works maintains several clean facilities encompassing over 67,000 square feet and is constantly looking for ways to improve our efficiencies by continually adding more modern equipment. 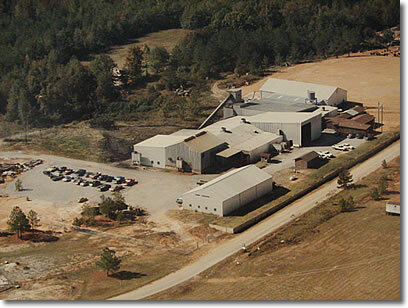 It all began with Tommie Corporation, a family owned business founded by the late Manly Tommie, which first opened its doors in Thorsby, Alabama in 1975. Since it's inception and as President for over 20 years, Allen Franklin was instrumental in Tommie Corporation's success. And with that success one building soon led to the need for another. 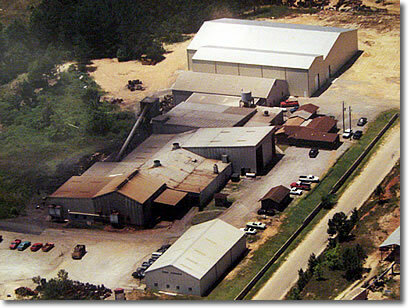 As the need for more modern equipment arose, a sister corporation, Franklin Iron Works Inc. was formed in 2002. And as Tommie Corporation closed it's doors, Franklin Iron Works Inc. emerged in the marketplace as a dominant source for quality ductile iron castings. 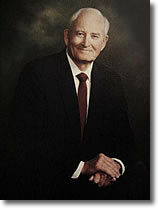 The late Manly Tommie (1924-2000) and his wife June Tommie founded Tommie Corporation in 1975. Mr. Tommie, a graduate of the University of Alabama School of Engineering, began his career as a Mechanical Engineer with U.S. Pipe in Bessemer, AL. Then in the sixties he worked with the NASA Space Program at Redstone Arsenal in Huntsville, AL. 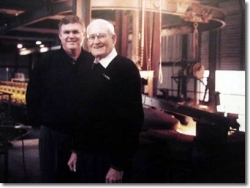 After those experiences, he developed a passion for the foundry business while working with his brother-in-law, Jack Jones, at Jones Foundry in Bessemer, AL. 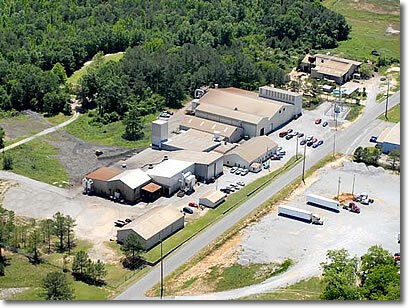 This led to the desire to open his own company in Thorsby, AL in 1975. From the beginning, along with his wife, daughter, son-in-law and now his granddaughter and her husband, family has played an important part of the success of this company. 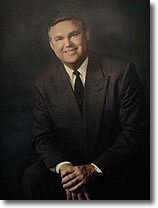 Allen Franklin, Mr. Tommie's son-in-law, was the president of Tommie Corporation for over 20 years and founded Franklin Iron Works, Inc. in 2002. Mr. Franklin graduated from Auburn University in 1976 and pursued post graduate work at the University of Alabama in Birmingham. He began working at Tommie Corporation when their doors initially opened and was the first to operate the furnace and pour iron. He worked at every phase of the foundry's processes and gained valuable insight to the needs of his employees. Having been there from the beginning, his vast experience was instrumental to the success of the company. In 2002, he and his wife formed Franklin Iron Works, Inc. and with new automated equipment began operations. By 2012 Tommie Corporation closed its doors and he purchased Tommie Corporations remaining equipment. Consequently, with his valuable leadership, Franklin Iron Works remains a dominant source for quality ductile iron castings. As acting CEO, he continues to provide a strong hands-on approach to customer satisfaction and quality assurance. Still maintaining a family owned concept, Franklin Iron Works is operated by Allen and Peggy Franklin as well as their daughter and son-in-law, Kellyn and Travis Vines. And in true family tradition, Travis is now the acting President of Franklin Iron Works. Franklin Iron Works, Inc. emerged in the same facility with new modern equipment as Tommie Corporation began the process of discontinuing operations. construction due to many improvements and expansions. 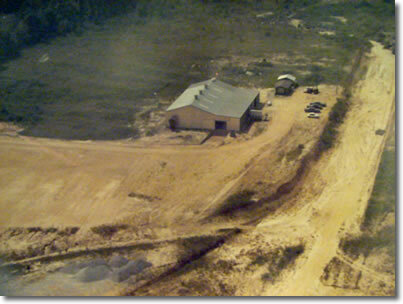 The foundry had very humble beginnings. But even with only a small plant to work with, the clientele grew rapidly until there was a need for more facilities.